Sham Shui Po is another truly fascinating neighbourhood found in the metropolitan area of Hong Kong. It is an exciting location that I feel should not be missed. It has a unique vibrant feel and is clearly defined as a bustling working-class neighbourhood. During my recent visit to Hong Kong, I had the luxury of visiting this fabulous area and experiencing many of the great amenities it has to offer, for all types of visitors. Sham Shui Po is a really popular area and it is a definite 'must see' location along the popular tourist trail. This great place wakes up later then the city centre and often comes to life as sun as the sun begins to rise. It has many locally run family eateries that begin to spring to life as soon as the locals wake, with each and every day being busy. The area has many great traditional places to eat and a wide variety of foods to choose from. With a wide variety of food choices that will impress any visitor or culinary expert. 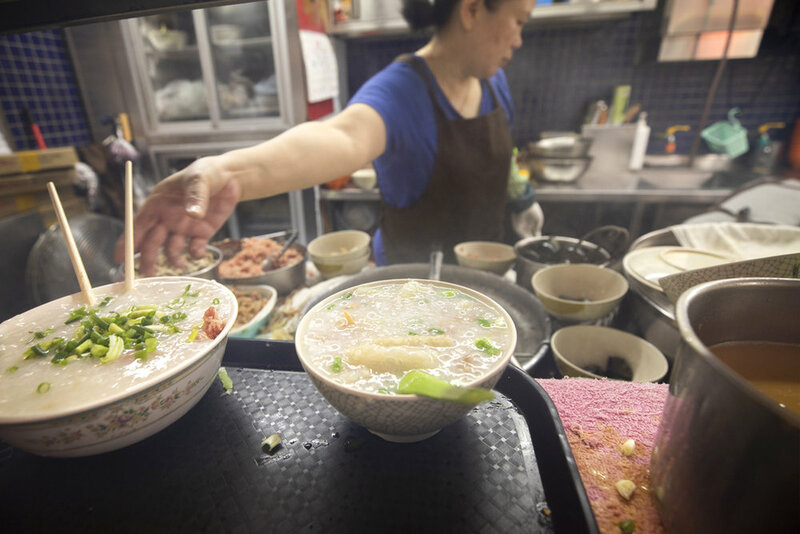 I experienced a special Sham Shui Po Foodie Tour, which I would really recommend if you would like to get to know more about the food traditions and history about this fantastic neighbourhood. Find a fascinating market around every corner. Once here, you will be happy to roam through the busy streets and enjoy this memorable experience. 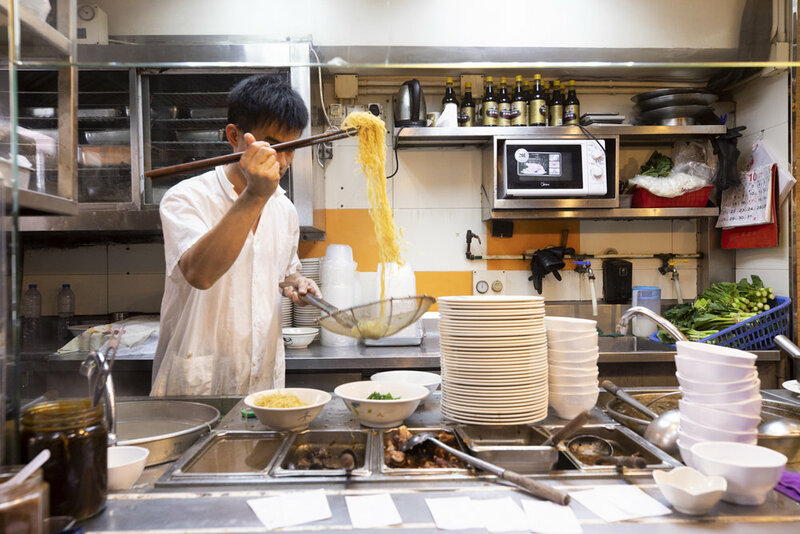 Make sure you visit a Cha Chan Teng (Hong Kong-style cafe) and start off your day with a local style breakfast, which comprises traditional egg noodles, or buns with beef and egg. The most delicous thing I had, was a pineap­ple bun with but­ter during a Foodie Tour. The crispy crust matches the soft fluffy bread of the bun. Although pineapple buns do not have pineapples, they got their name because the bun looks like a pineapple. You can continue along your journey by enjoying the traditional pudding shop, speciality soy stores, a Chiu Chow-style restaurant, long-established bakeries and a handmade-noodle shop. I followed the recommended food trail and absolutely loved this experience. The colours, smells and tastes were absolutely amazing, and something I don't often get the chance to enjoy. The most delicious pineapple bun I've ever tasted! Hong Kong style cafe (Cha Chang Teng) in Sham Shui Po. Trying various sweet and savoury treats is a remarkable and enjoyable experience and I had the chance to do all this, while I was out on the interesting Sham Shui Po Foodie Tour. On this tour, I had the privilege of learning how each speciality had been made and then perfected over time. I guess this is why this particular experience is not only very popular with foreign visitors, but also why many locals regularly visit the area time after time. Booking a tour is very easy and joining in the food trail is a worthwhile experience. Having the opportunity to experience everything at first hand is magnificent and it is something I would thoroughly recommend. Within the tour, you will have the chance to enjoy the culinary and tradional delights of the surrounding area, but also the chance to explore the interesting architecture and culture of this charming district. Dishes are being served at a traditional breakfast shop. The traditional dessert made of ginger and soya, at a Soy Specialty Store. Handmade northern dumplings at the Dumpling House. Not only does the daytime provide a busy spectacle. The whole area comes to life at night too. With the colours and overall vibrancy being evident all around. It has a fantastic feel to it and simply intices any visitor to find something new around every corner. I enjoyed my time here, and really enjoyed indulging in their stunningly nice cuisine, but also the general essence and feel to this interesting area of Hong Kong. Just make sure you visit here on an empty stomach! Just have your camera ready. Something happens here around every corner! The smell of roasted chestnuts. Delicious! I would like to thank the Hong Kong Tourism board for this wonderful recommendation and ofcourse Sham Shui Po Foodie Tours for allowing me to experience their amazing food delights. I hope one day to return to this wonderful place! MY LATEST NEWS AND UPDATES! A collection of Landscape photography Adobe Lightroom Presets Packs by the signature of Dutch photographer Claire Droppert. She captures Sounds of Silence from all over the world. Presets with a desaturated, simplistic and calming effect. Fill your interior with Sounds of Silence... A collection of simplistic and unique works from Dutch Photographer Claire Droppert. Choose from a variety of different sizes and materials: metallic, wood, aluminium, canvas, plexiglass and many more.